A Big Change for Candor, Inc. This year was a big year for Candor, Inc. We launched a podcast, Radical Candor: How Not To Hate the Boss You Have or Be the Boss You Hate. We also launched a new app, the Candor Coach. It was also a big year for me personally. 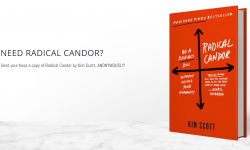 In March, my book Radical Candor: Be a Kickass Boss Without Losing Your Humanity was published, after four years spent writing it, and it hit both the New York Times and the Wall Street Journal bestseller lists for several weeks running. Russ and I recently put our podcast on hold to focus on our product, the Candor Coach. The value of focus was that it forced us to see facts more clearly: the 3 different apps we’d built didn’t help people to have more Radically Candid conversations. Our investors told us they didn’t think we could develop a software platform on the kind of time frame demanded by venture capital. This was hard to hear. Like most entrepreneurial teams, all of us at Candor, Inc. resisted this conclusion. We wanted to keep trying. We still had money in the bank. Why not keep going? Over a bunch of sleepless nights, I realized something important. When we started the company, we thought some lightweight tips and reminders to solicit feedback and to have impromptu 2 minute praise/criticism conversations would really help people improve their feedback. Now, we realized we were dealing with changing deeply rooted human behavior: the tendency to avoid hearing, giving, or encouraging feedback. Tips and reminders weren’t enough. Tracking conversations wasn’t enough. We needed to help people change their mindset and their behavior. A software system that could change behavior was going to take significantly more time and investment than we had bargained for. I still believe it’s a nut that can be cracked. But not in 18 months, which was about how much cash we had left. Watching my daughter perform in a play recently, I realized there was another big problem as well. I was using my iPhone to record her performance. About a minute in, I looked up from the tiny screen in my hand and actually watched my daughter herself, not my daughter in my phone, sing, “Believe it or not, I’m walking on air.” Tears immediately swam in my eyes. The emotional impact of watching my daughter rather than my phone was incredible. In that moment I really understood something that we’d talked about while developing the app. We were trying to build an app that would prompt people to put their phones down, look their colleagues in the eye, and have real conversations. We could not employ any of the usual tricks to make our app addictive, as the whole point was to get out of the app and into the real world. Yet we were competing with all the addictive apps. Another reason why building the right thing was going to take a lot longer than 18 months. 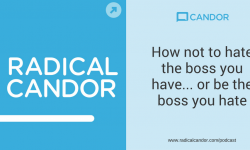 The app wasn’t getting much traction, but meanwhile Radical Candor was becoming a thing. The term Radical Candor is popping up in unexpected places — it is now a meme. It’s spreading to all different kinds of companies all over the world. It’s even getting preached in churches and rolled out in synagogues, and gaining traction in Washington of all places. Hundreds of CEO’s are rolling it out in their companies top down. Thousands of young employees are taking the initiative to try to improve the culture at some of America’s largest corporations from the bottom up. Kim’s book has struck so many chords for me and my company (and I suspect many companies). It’s one of those, “of course! She’s found a way to define the thing that has seemed so hard to verbalize, but what I knew to be true.” My colleague heard her last week and came to me and said, “we’re a product of ruinous empathy!” Yep. And I asked our co-founder to read the book, and he said he had multiple epiphanies in the first few chapters. I’m about 75% done with Radical Candor. I’ve found the stories really interesting and can relate to many of them since I’ve made the same mistakes or witnessed them. I’m going to focus on being a better listener and soliciting feedback regularly. I thought doing it once a year was adequate. I realize how wrong that logic is now. I’ve always prided myself on being a good, fast, logical decision maker and now realize that I need to include others more in that process. There are so many things to put in practice! So here is what’s coming next. Russ, the Candor Coaches and I will continue to do talks and workshops for companies who are rolling out Radical Candor. Russ and I are going to re-start the podcast in the fall. Russ and I will do everything in our power to help everyone on the Candor Inc. team find a job they are thrilled about. Not that they need my help. 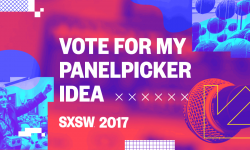 They are some of the best engineers, product managers, UX designers, content marketers in the industry, all very much in demand. Our failure to build a great product lies entirely with me–I didn’t appreciate the magnitude of the behavior-change problem that we were wading into, and so for the first year of the company’s life we were building the wrong type of product. As for me, I’ve come to realize that the best thing I can do to support people who want to make Radical Candor a reality in their organizations and in their lives is to focus on doing the thing that I most love to do: to write. So expect more blog posts, social media musings, further announcements about forthcoming articles, a new book, and maybe even a TV show based on Radical Candor. I’d love to hear from you about what I can do in these areas to help you with your efforts around Radical Candor. Because we won’t have any engineers to fix things when they break (which they inevitably do) we are going to disable Candor Coach and the Candor Gauge. Thank you for all your support for Radical Candor so far, and I look forward to engaging more with all of you through my writing, and, more importantly, encouraging you to engage with each other, live and in person! Great post, awareness, and direction for the company. To me, feels analogous to tools like Seven Habits or even Tony Robbins – sells millions of copies, but doesn’t translate to software; it’s a people-to-people thing. I think what you’re doing focuses on more outright impact that our beloved, scale. The Valley makes us think software & scale, but not everything can be conveyed/taught that. I’m booking Russ for a workshop in September, my team and I can’t wait! Well said Ben, thank you! Kudos to you for going back and using your vision and mission to redefine your strategy. Listening to the Radical Candor podcast came at a time when I was a new manager and I could put the principles into practice right away. I had an opportunity of getting feedback when it was hard to hear. I embraced the difficulty and came out knowing more about myself and how I come across and valuing the person giving feedback. The examples on the podcast were so great, thank you for telling the stories we all need to hear! Excellent post, Kim. So excited for what’s next! a revolution in its early days. Good luck! Kim, Russ, I read you regret stopping the software app project. With your podcast and the videos, you gave so much to the world already. To me, your message is a human-to-human thing, not sure if a software app would really be essential. I started applying the lessons from the first podcasts, inspired by the TED talk, and it started to pay off, to grow on its own accord. I am thankful and would love to see you continuing having fun in writing and making podcasts and workshops. Kim, your talk at the Accel founders event last night was by far the most impactful one for me. I’ve adopted the Radical Candor concept as a rallying / jumping off point for discussions and reflections with my teams at all of my companies on how we can manage better. We are just at the beginning of this journey but I can tell you it has already had a profoundly positive impact. You are amazing. I am grateful for the influence you are having on my companies / management approach and in the industry more broadly. Thank you! I am sorry to hear this. I have read the book and listened to the podcast and use the Candor Coach to reinforce the behaviours that are set out in the book. For me, it’s a great prompt to keep having radically candid interactions/conversations in my work and home life. The app also helped me raise awareness of radical candor with the people that haven’t yet read the book or had time to listen to a podcast. Kim and Russ you have made a difficult decision. I will continue listening to the podcast and if you are ever running workshops in Australia I would love to attend. I’m in Australia, too – and would love to see you live! Thanks for your honesty! Radical candor has changed my approach to giving feedback both in a work environment and in my personal life. I am glad the podcast will return in the fall – it’s one of my favorites! I’m so excited at the prospect of more podcast episodes – yay! Great post Kim! i think this is a tweak in an important concept. Ok, maybe more than a tweak, but I see a lot of potential and exciting big things in the future. Kim and Russ, I’ve been an eager follower of Radical Candor since I heard about it. I had already a profound admiration for both of you – personally and professionally. Using Radical Candor and sharing with my team, I feel that you are absolutely right in shifting focus to helping people use Radical Candor through coaching, workshops and real life examples. I wish you all the luck in this next step and I’m sure anything the both of you do will be very successful. Kim — I respected you and your work while on your team at Google (and ditto for Russ!). I’ve been enjoying receiving the Candor emails and have all the more respect for both of you upon reading this post. Best of luck with the next step, and I look forward to seeing what’s next. The WiRL Team completely supports you in your next chapter – we will continue to be disciples of your message! Cheers to you! Tough stuff. Thank you for sharing. Very much respect the decision. Your book is GREAT, as are your podcasts. You have great avenues to disseminate the cultural change embodied by Radical Candor. Sounds like a tough decision, but my instinct is that this is the right direction for your company to go in. I read the book and have been listening to the podcast. I’ve found them enormously helpful–I have read a lot of stuff on business and leadership in the past year, and yours is probably the one that has changed my mindset the most, and I have gotten more out of other books that I’ve read because I was able to understand them through the Radical Candor framework, sometimes in surprising ways (“Oh! His four stages of community building are really similar to the Radical Candor quadrants!). After having a major work relationship that was painfully stuck somewhere between Manipulative Insincerity and Ruinous Empathy, I’ve started my relationship with a new colleague as candidly as possible to make sure we don’t fall into that same trap. Despite all that, I would probably be unlikely to use an app or Radical Candor software. I am extremely likely to continue to follow your content and future writings! Your podcast was a lifeline to me when I started needing to really work on how I listened. I was struggling with a couple of our company’s people who I felt needed direction. I was wrong in how I had initially approached shaping that direction and it was at that time that I found the Radical Candor podcast and realized what I had tried would never work!! I’m so grateful to be able to see with new eyes (and descripitve, adequate vocabulary/adverbs to identify) what was going on. Thank you for starting up the podcast again this fall. That format really works for me and I plan to buy the book and mark it up to help continue to guide me. Cheers. I LOVE the Radical Candor Podcast. I have listened to every one of Season 1’s podcasts more than once, and some I have listened to on my way to work to psyche me up and give me ideas for difficult (for me) conversations I need to have that day with one or another member of my team. I LOVE the podcast where Kim related the time she had to fire the candy man and he said, “Why didn’t you tell me? Why didn’t anyone tell me?” So I can’t WAIT for season 2. I support your decision to carry on with writing, teaching and podcasting, as I didn’t find the App all that useful. I am a huge devotee and am looking forward to what comes next from Radical Candor! Isn’t that just the thing? Having the courage to change things that are just not working? Do what works, do what you love – looking forward to reading your blogs and listening to you Podcasts – fabulous Summer for you! Great post and another chapter for the Radical Candor. It became a powerful example that the Radical Candor works also in conversations with yourself. Keep us posted! One reason I read Radical Candor was that after working to improve work culture in one tiny corner of the federal government, I left to become a high school teacher, and the concept of improving learning by giving effective feedback is premised, by many thought leaders, on developing empathy and candor simultaneously. In fact, folks elsewhere in the Valley have developed software to support effective mentorship in schools. See the current edition of The Economist and the Summit leaning program referenced therein: https://www.economist.com/news/leaders/21725313-how-science-learning-can-get-best-out-edtech-together-technology-and-teachers-can It’s encouraging that learning how to give and receive feedback effectively is becoming part of school curriculum. I hope my students will have a head start over today’s employees and managers when it comes to adopting behaviors that support relationships that make work more meaningful and make people who work happier and better at their jobs. Coincidentally, a post today compares the old way of “connecting” with students with the new way — https://twitter.com/gcouros/status/888008086396428288 — Radical Candor has much more in common with the latter than with the former. Keep up the difficult, good work of changing human behavior for the better. Hi! Since you asked for feedback, I would suggest more online video content. I know you’ve already recorded a few videos, but I’d love to see a more established Radical Candor vlog. These could be great, engaging videos to show at staff meetings. I understand your team charges a fee to provide in-person training, but I work in local government where paying for outside trainers is pretty hard to swing. I have recommended the podcast to coworkers, but vlogs would better lend themselves to sharing and discussing with our team. If you can think of other ways to offer some coaching and insight to teams that cannot afford outside trainers (but could maybe afford a product), there might be a market for that. Thanks!! Reading you’re resuming the podcast soon made my Monday! Can’t wait to start listening to your stores and the valuable Candor Checklist. I was so stoked for the app and found this article when I couldn’t find it in the App Store. :( love the rest of the content, and would love a test flight version! previous post: Civil discourse: try some with your beer this 4th of July!